April 8-12, 2019 is National Cancer Registrars Week (NCRW). 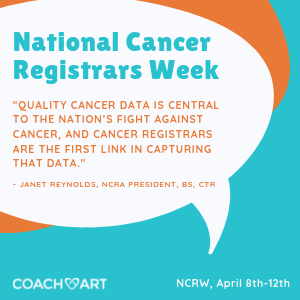 Cancer registrars play an important role in the proper diagnosis and treatment of cancer patients, and the purpose of NCRW is to emphasize registrars’ role cancer in capturing the data that informs cancer research, prevention, and treatment programs. The 2019 National Cancer Registrars theme is Capturing the Picture of Cancer. The theme reflects cancer registrars’ role in compiling critical data to support effective cancer treatment and research, with the goal of cancer prevention and finding a cure. 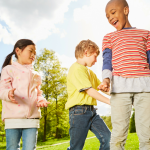 In 2017, an estimated 15,270 children and adolescents ages 0 to 19 were diagnosed with cancer. Estimated national expenditures for cancer care in the United States in 2017 were $147.3 billion. In future years, costs are likely to increase as the population ages and cancer prevalence increases. What Do Cancer Registrars Do? The role of cancer registrars, as data information specialists, is to collect and code patient-level data for cancer registries. Cancer registries provide this necessary information to healthcare providers and health officials in order to better monitor and improve cancer treatments, conduct appropriate cancer research, and target cancer prevention and screening programs. 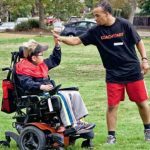 The data are included in publications such as the Annual Report to the Nation on the Status of Cancer, a collaboration of the American Cancer Society, the Centers for Disease Control and Prevention, the National Cancer Institute, and the North American Association of Central Cancer Registries. 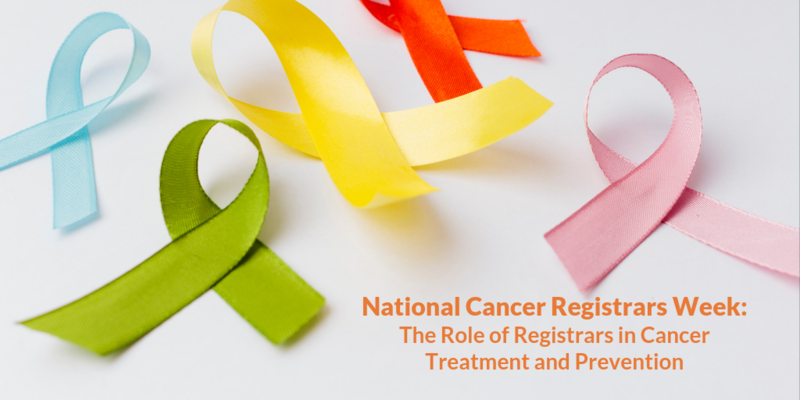 The National Cancer Registrars Association (NCRA) is a non-profit organization that represents more than 5,800 cancer registry professionals and Certified Tumor Registrars (CTRs). The mission of NCRA is to promote education, credentialing, and advocacy for cancer registry professionals. Promote a cancer awareness project. Highlight the importance of cancer registrars and the role they play in proper diagnosis and treatment of cancer patients on social media.